This is a similar photo to the one I put on Monte Carlo Daily Photo today. 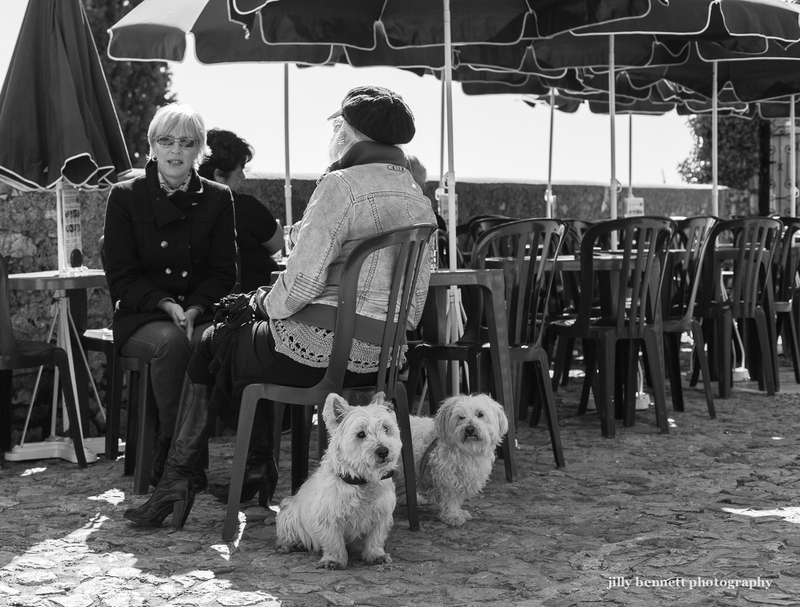 This adorable Westie and Bichon are on the terrace of a bar/restaurant in the beautiful medieval village of Eze, which is along the coast between Monaco and Nice. I don't know the names of the dogs as I didn't chat to the owners on this occasion. My brother has a westie that has sadly lost the use of his hind legs. He van pull himself across the floor, but can't climb the stairs or walk. They have to carry him around from room to room and outside. They live in Minnesota, so there is snow on the ground much of the year. The dog is not in pain, however, and is a beloved member of the family. Oh Dave -how sad but what a wonderful family your Brothers Westie is in !!!! They are special Dave!!! !